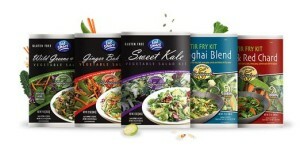 Free Salad, Stir Fry Kit or Vegetable Bag!! Fill out the short 2 minute survey HERE to receive a coupon for a FREE salad, vegetable bag or stir fry kit of your choice! Supplies are limited and I would recommend filling this out as soon as possible. Please note the Sweet Kale survey is closed.